Today was day one of the Texas Library Conference here in Houston, Texas. Julie Andrews Edwards opened the conference. Although she acknowledged that she is a "celebrity author," she proudly pointed out that she started writing children's books over 35 years ago. 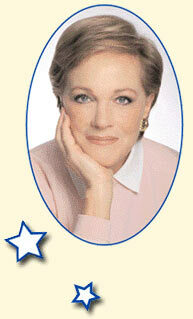 She loves working with her daughter, Emma Walton Hamilton on The Julie Andrews Collection imprint for HarperCollins. She said that as a girl, she was traveling and performing so much that her education was limited until her parents hired a tutor. She always loved writing stories so the teacher would allow her to write AFTER she finished with her math and history and science. Words are important to Julie Andrews Edwards. The tag line for her imprint is "Words Wisdom Wonder." She pointed out that as a singer, the most beautiful melody needs the words to sell the song. She discovered the word "whangdoodle" in a dictionary and after reading the definition decided The Last of the Really Great Whangdoodles would be the title for her second book. Her new book, The Great American Mousical, was inspired by a mouse infested theater on Broadway. As she discussed the importance of reading, she expressed concern that broadcast media today is only showing "manufactured slices of life" in so-called reality television shows. As much as she has loved performing in movies, it is still "filmed storytelling" and it can never replace reading which requires the active participation of the reader and the engagement of the imagination. I grew up enjoying her movies so it was a treat to see her in person. How great to have been able to hear her speak in person. Thanks for sharing her words from the conference. She is definitely one of the very few "celebrity" writers that I have enjoyed especially The Last of the Really Great Whangdoodles. I originally picked it up to give as a gift and actually kept it. Your right also about the dance scene as Mia's grandmother...to bad they left it out. How wonderful, Camille! "The Last of the Really Great Whangdoodles" is one of my favorite children's books. I'm so jealous! I saw her on the Today Show this morning, but that's not really the same thing. I can't wait to read this book and more that will come later in this series. I try to encourage reading and muisc onmy blog as well! Check it out www.doodle-oodle.blogspot.com I think your site is great! I look forward to returning again! If it's OK with you I think i'll link your blog offmy own.